Video Data Bank is proud to present the wonderful work of artist Laura Parnes. 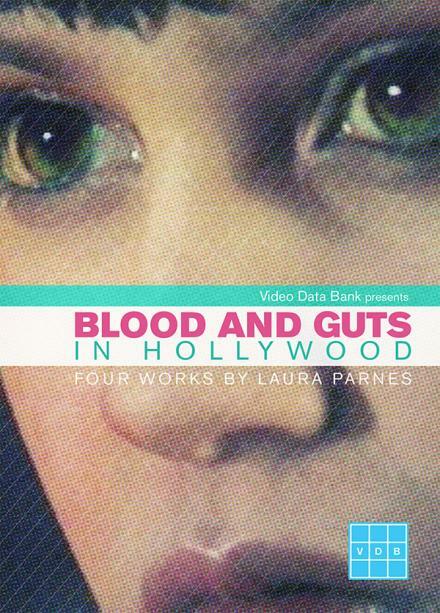 This two-volume box set features four video works that highlight her interest in the deconstruction of narrative film conventions, including her reimagining of Kathy Acker's 1984 novel, Blood and Guts in High School. Included in the set is a 44-page monograph containing an essay on the collection and interview with Parnes by writer and novelist Chris Kraus. "Filmed on bare-bones sets put together in gallery spaces, the video is a model of how to bring off an ambitious project with scant resources, and also of how to respect source material while transforming it. And where Acker's novels have a quick-hit crash-and-burn intensity, Ms. Parnes video floats like a shark, forever hovering, but always watching and moving."